Lord Shiva or Shiv Shankar or Bholenath, is regarded as the supreme, the most divine amongst all the gods in Hinduism. This is the reason he is also called as ‘Maha Dev’ which simply means the Greatest God. According to Hinduism, Lord Shiva was not born. Also, he doesn’t need any other divine support of any form for his excellence. It is also said that Lord Shiva is the only god who gives blessings to his devotees faster than any other god. He fulfills the wishes of his beloved devotees and takes care of them. Lord Shiva and his wife Mata Parvati as considered as the Universal Parents as it is believed that Shiv and Parvati are the father and mother of the whole Universe. Shri Ganesha is the son of Lord Shiva and Mata Parvati, and amongst all the gods he is the one who is worshipped first at any occasion. No matter what festival or Puja is there, Lord Ganesha (also known as Ganpati) is worshipped before anyone else. Such is his importance in the Hindu religion. Lord Shiva is also called by various other names like Trinethra, Neelakanta, Jatadhara, and Gangadhara. Lord Shiva disregards all worldly pleasures and hence he is considered to be the god who lives in the burial grounds. Other gods in Hinduism need ornaments and gold for decoration, but Lord Shiva does not need any such things. Not even beautiful and costly clothes are required. He is happy with plain white ash and that is sufficient to worship him. In order to get your desires and wishes blessed by Shiva, you need to pray with a composed mind and a clean & pleasant heart. Every Monday visit Lord Shiva’s temple and pray to him with a clean mind. Don’t forget to take a bath before that. Reciting ‘Maha Mrityunjay Mantra’ is most important. Recite it as many times as you can. 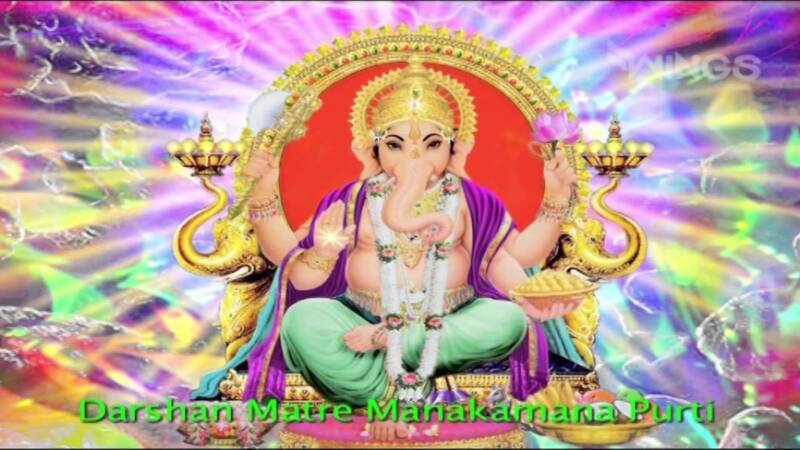 This mantra is a spell which helps in overcoming all fatal diseases and also guards you against untimely death. Urvarukamiva bandhanan mrityor mukshiya maamritath. When you visit the temple always grace your forehead with a tilak of Vibhuti or Bhasma. When you go to the temple and while coming back, don’t forget to chant the glorious words ‘Om Namah Shivaya’ repeatedly. Perform Abhishekam to Shiva Linga by Water and Bhasma. Other than that offer Bilwa leaves. It is believed that these leaves are the most favorite of Lord Shiva. Put these leaves on the Shiva Linga. As mentioned above, worship Lord Ganesha first. Even before worshipping Lord Shiva. Why? Because Ganpati will remove any or all obstacles in the course of performing prayer and blessings thereafter. It is good that you light a Deepa or Jyoti when you worship Lord Shiv Shankar. This is done because Jyoti is a prayer to Lord Shakti, the other form of goddess Parvati (the wife of Shiv). If it is possible then offer Jilledu flowers (Madar Tree, Gigantic-Swallow-Wort, Mudar, Aak) to Shiva Linga. If it is possible then visit any one of the Jyotirlingams near your place if in India. Like Varanasi, Srisailam, Nashik, Ujjain etc. If the prayer is on Monday carry some prasad to temple. If possible distribute to the people there. This is a very good habit, sharing is caring, never forget this. People with chronic diseases or disorders to get rid or minimize the suffering. Even the untimely death is prevented by Lord Shiva’s blessings. Those desirous of getting a baby by proper carriage if there are repeated abortions before. Those willing to achieve spiritual progress and enlightenment. Those who wish to achieve high goals in life can worship Lord Shiva. It is said that as Shiv Shankar was in love and married, so he might even bless lovers. Those who are having weak or troublesome moon in their Vedic astrology chart. In general pundits advice them to wear a pearl gemstone. But praying to god Shiva and goddess Parvati will be more beneficial. Even they may not require to wear a pearl gemstone. Do a regular prayer to Shiva Linga at home during early morning and also in the evening. Every single day. Wash the Shiva Linga properly and apply Vibhuti or Bhasma. Light a Deepa/Jyoti and Incense Sticks (Agarbathi). Recite “Om Namah Shivaya” a few times. On Monday’s offer milk or any sweet made with milk to Shiva. Lord Shiva is one of the most sought after Hindu gods as witnessed by the number of temples in India. He is being loved by everyone, everywhere. He is also said to have incarnated as Lord Hanuman during Ramayana. Previous articleसुदामा की दरिद्रता का कारण उनका लालच नहीं बल्कि कुछ और था! Next articleइन 14 वस्तुओं को कभी न बेचें अन्यथा परिणाम बुरा हो सकता है!